Talk about headline-grabbing times. This month has been all about battling arctic conditions, investigating spy stories plucked straight from the pages of Le Carre, and— for Smoking Gun at least— exceptional results on behalf of our beloved clients. Silentnight’s recent stunt at Manchester’s intu Trafford Centre is just one case in point. 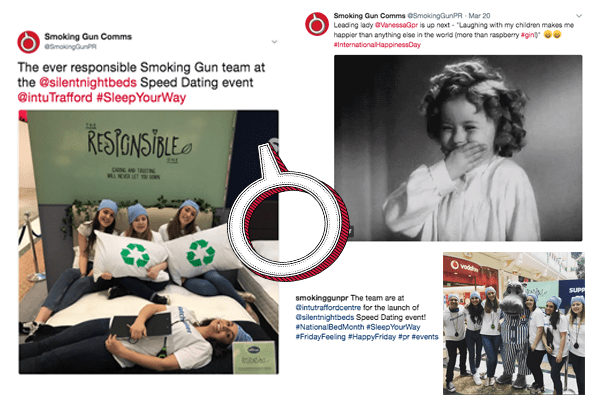 Our team helped the brand stage the first speed dating event to take place in bed. Well, eight beds in total actually. The public was invited to get between the sheets and see if they couldn’t find true love. Not with a fellow human you understand, but their most intimate of nocturnal partners— their mattress. Given the uplift in footfall at the store, not to mention sales, those in attendance clearly fell head-over-heels for the idea. In another example of our exceptional multimedia capabilities being brought to the fore, we’ve also been helping one of our favourite FMCG clients capitalise on fan advocacy and word of mouth marketing, harnessing the power of viral to bring in more than £1million in additional revenue, new orders from national retail stockists, and global headlines. And they say PR isn’t measurable! If you’ve been reading the papers lately chances are you’ve seen the story. Elsewhere, our MD, Rick Guttridge, has been keeping abreast with the latest industry trends and developments during his tenure as a judge at the PRCA Dare and PR Moment South awards. It’s proof of what should be an age-old adage: ‘In order to pick from the best you have to be the very best’. The results painted a vivid picture of our team and their individual personalities, and secured some fantastic social results. Note the lesson here— ideas that everyone can get involved with are like gold dust, only even more valuable. 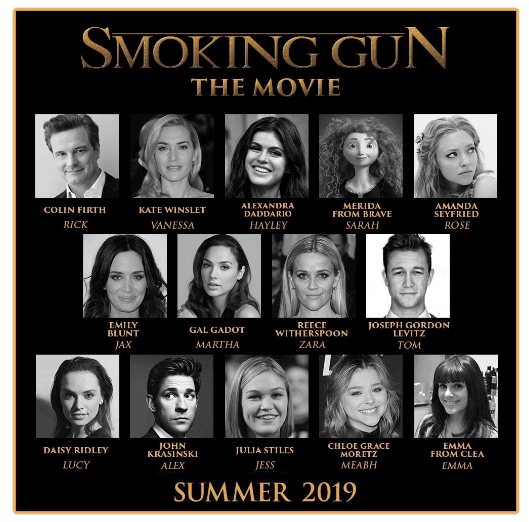 On that note, probably best we crack on coming up with more quality concepts for exceptional brands, so see you next month for another update from the talent here at Smoking Gun HQ.